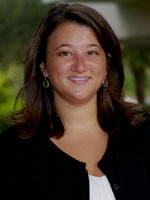 I wanted to share some exciting news about Karla Kmetz-Morris, lead instructional designer here at USFSP. She received a call last week asking her to serve on the Board of Directors for the Florida Alliance for Assistive Services and Technology, which also serves as the State Advisory Committee for the Assistive Technology Act. In this role she will collaborate with other board members and key stakeholders across the state and nationally on issues surrounding funding, awareness, training, programs, device loans, and advocacy for assistive technology and services. This is amazing news for USFSP and I know Karla is happy to represent USFSP with this important work. As you can see, we have a really impressive team in OLITS! We are very honored and proud of Karla for how she represents USFSP, the Nelson Poynter Library and OLITS! Karla was also elected as Chair of the Webinar Committee for the Quality Matters Instructional Designers Association. She is working closely with a few other instructional designers in the QM network to develop and facilitate a webinar series that provides professional development opportunities to instructional designers in the areas of design research, strategies, QM implementation, etc. George Mason University recently offered and has archived a webinar about recent accessibility updates from Pearson Higher Education North America. Discussion on the accessibility of MyMathLab, MyITLab, and MyWritingLab, all with live demonstrations. View the archived webinar using the link on the right hand side of GMU’s Assistive Technology Initiative Website. One of the most common accommodations that students with disabilities need is extended time on quizzes and exams. Providing this accommodation in Canvas is relatively simple and does not require you to alter the testing time for all students. For example, if your exam is timed for 90 minutes, and the student’s accommodation allows for double time, you would type “90” in that box. Repeat this process for all timed exams and quizzes within the course. I was asked the preferred way to direct students to Canvas for those courses being taught in Canvas during the Spring/Summer. The easiest would be to give your students a direct link to Canvas: https://usflearn.instructure.com . 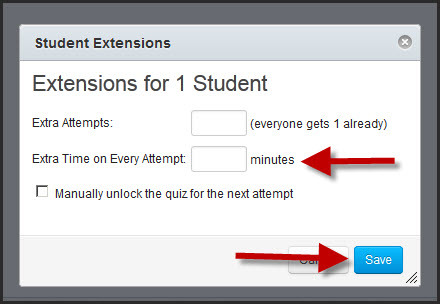 – Create a single announcement telling student about canvas and provide a link to Canvas. Making university websites and course content accessible may be the law, but many institutions have a long way to go toward compliance. CT looks at three key elements of a more proactive approach to accessibility on campus. Please join Distance Learning and Instructional Media Services at Nelson Poynter Library for the Accessing Higher Ground Annual Conference live virtual track November 14-16. The Accessing Higher Ground Conference focuses on the implementation and benefits of Accessible Media, Universal Design and Assistive Technology in the university setting. Topic areas cover legal and policy issues, including ADA and 508 compliance, accessible distance learning, and the creation of accessible media and information resources, including Web pages and library resources. The following sessions will be streamed live. These sessions are open to all interested Faculty and Staff. Sessions will be real-time captioned. To reserve your seat, please RSVP to Karla Kmetz at kmetz1@mail.usf.edu or 727-873-4474 with a list of sessions you will be attending. One of the most common accommodations that students with disabilities need is extended time on quizzes and exams. Providing this accommodation in Blackboard is relatively simple and does not require you to alter the testing time for all students. The directions are available in this USF System Blackboard Exam Accommodations Guide (PDF).